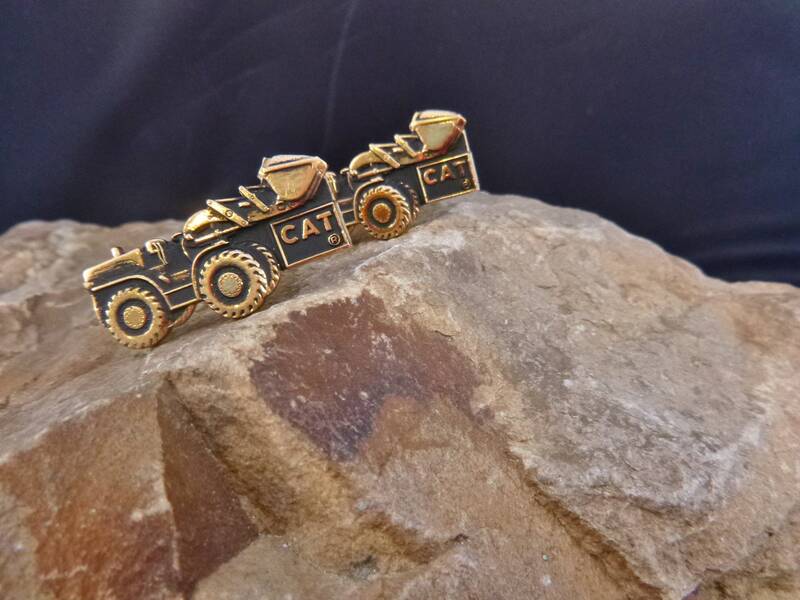 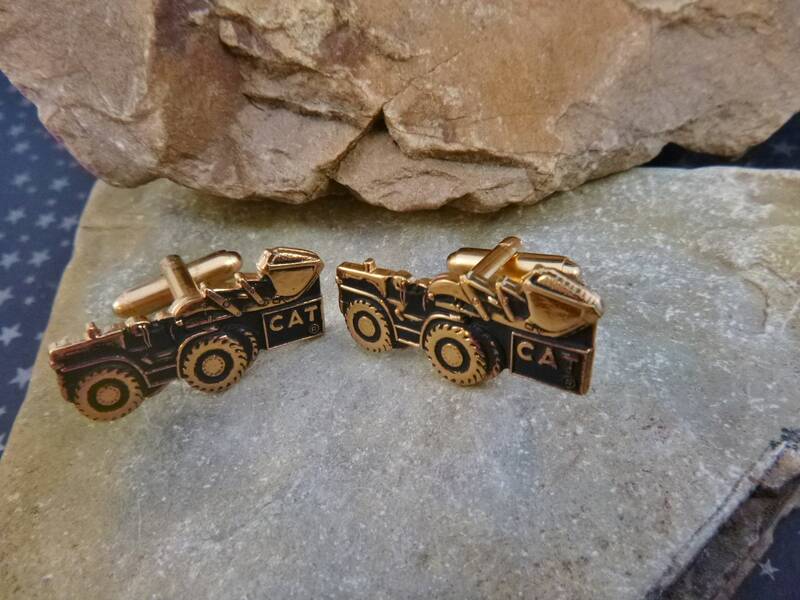 I discovered these vintage construction themed CAT (Caterpillar) bulldozer, earth moving, frontloader tractor cuff links in a second hand shop while vintage shopping in Kansas. 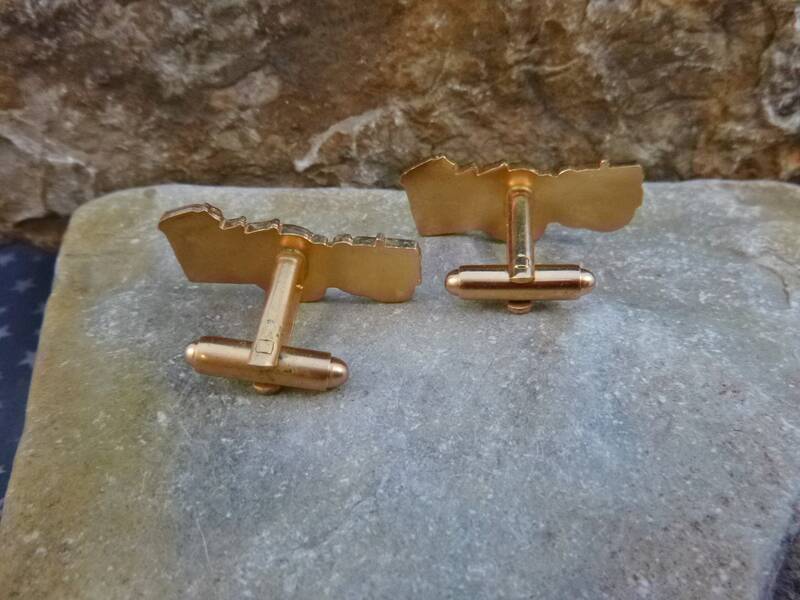 They are made of a matte gold tone metal with antiqued darkened highlights. 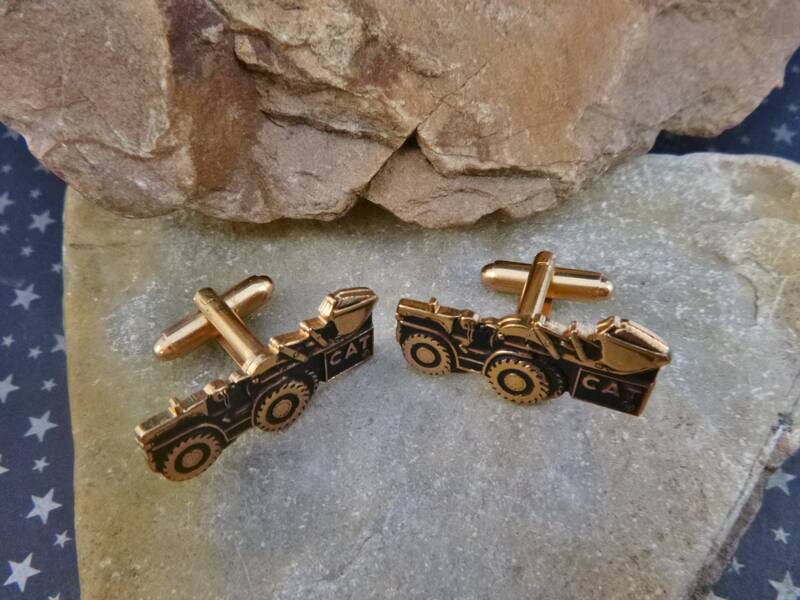 The face of these construction themed cufflinks measures 1.25” and is .5 wide. 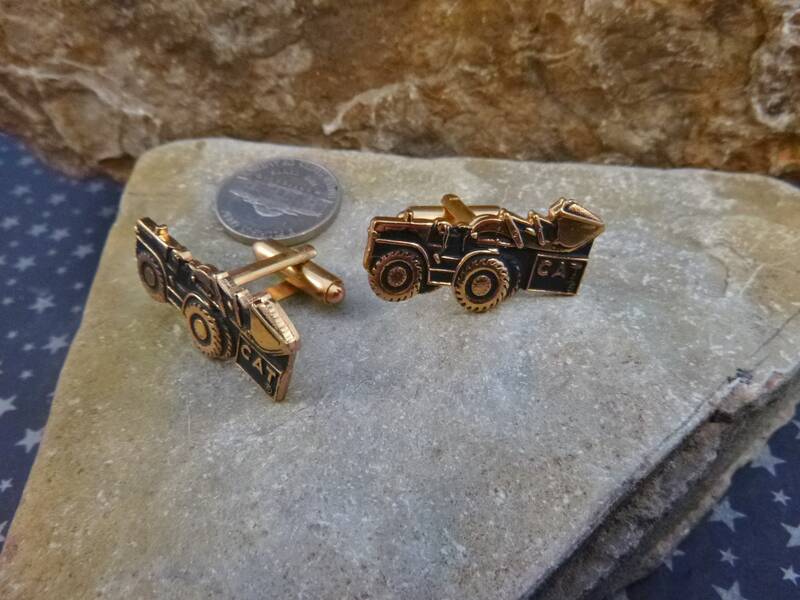 Overall they are very good vintage condition, with light wear in the form of a few scratches, mostly to the back metal. 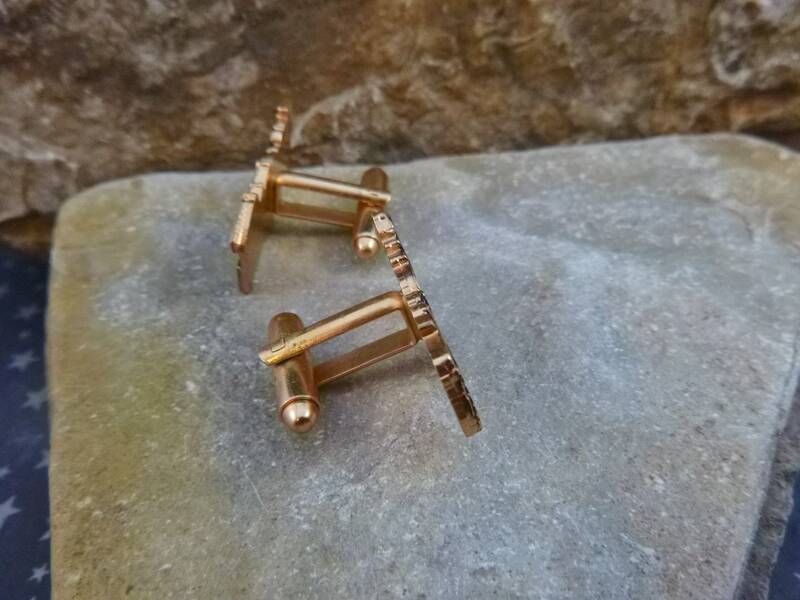 The fasteners hold well. 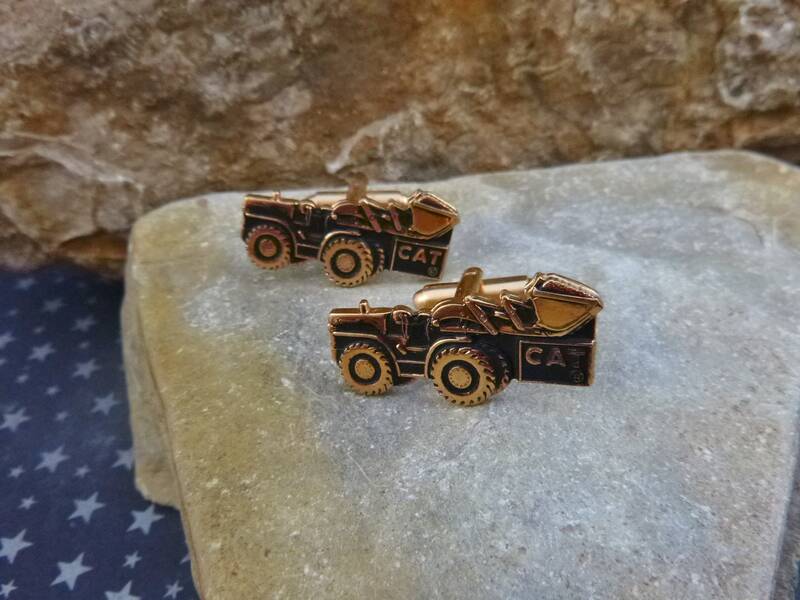 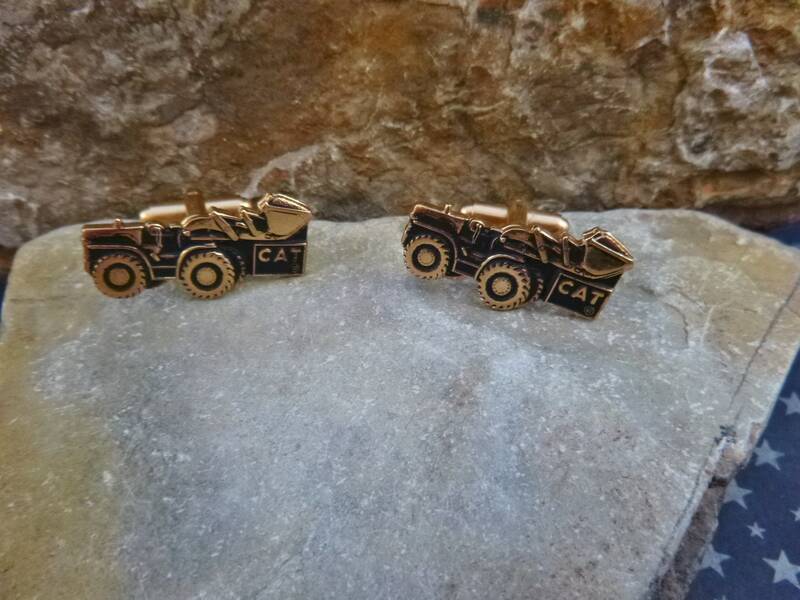 The picture offer greater perspective on the condition and style of these vintage Caterpillar bulldozer cufflinks. 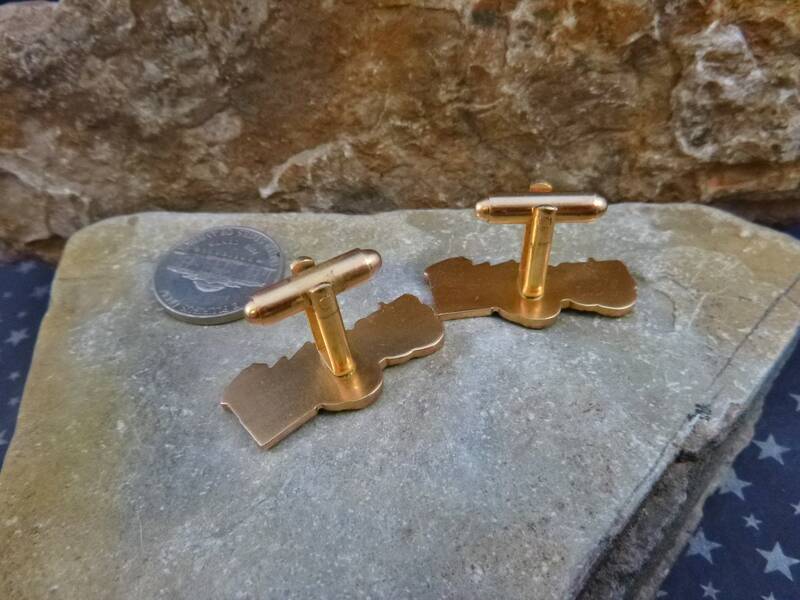 (Note: I have a red camera and on some photos what you see is its shadow, not discoloration of the metal).